Healing Wonju City : Get your stress away! Hi all, how are you releasing your stress? Are you looking for a healing trip for yourself? 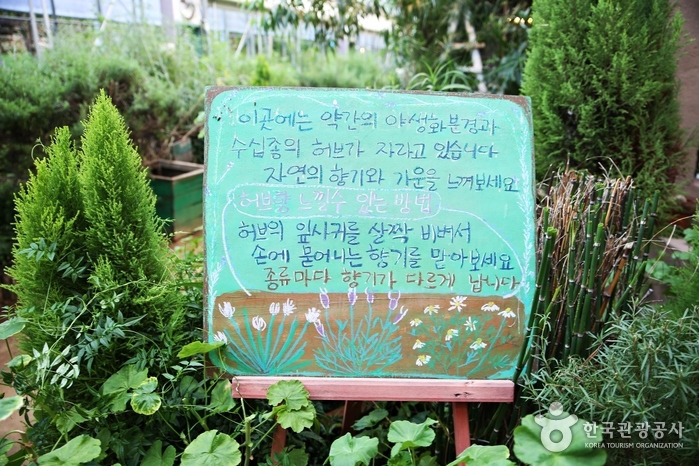 If so, come over to Healing city, Wonju in Gangwon! Wait, you don’t know where Wonju is? Wonju city is an innovative city whereby Korea Tourism Organization’s headquarter is. 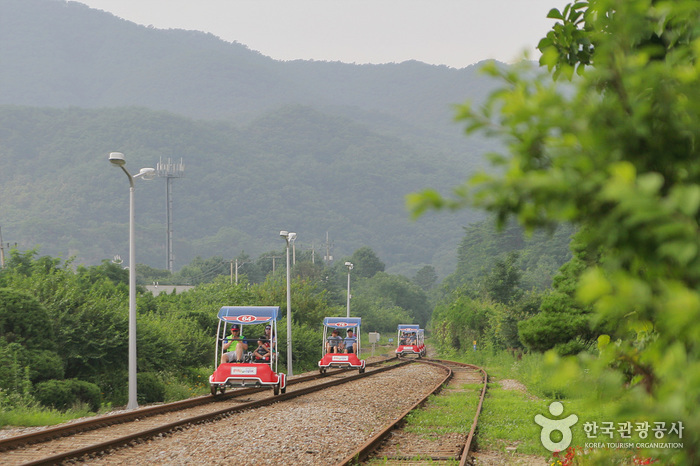 Located only 1 hour away from Seoul by train or bus, this city is well-harmonized of healing natures and fun activity! 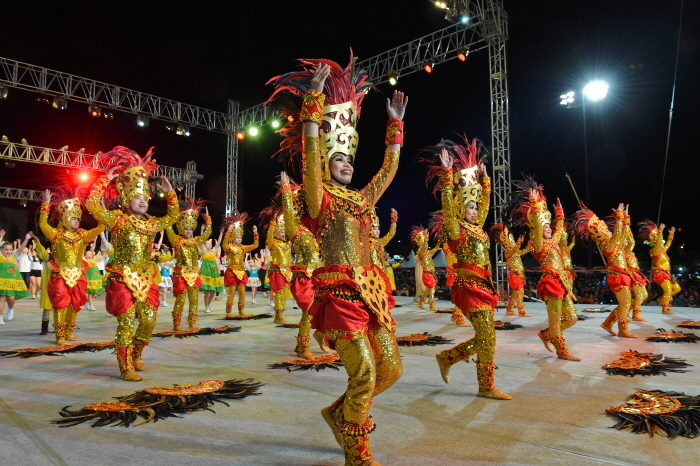 In September, Wonju Dynamic Dancing Carnival with the fever is waiting for you. During festival period of 6-11 Sept, total 42 teams from all over the world will participate for dance competition to win away the grand prize valued 100 million USD! 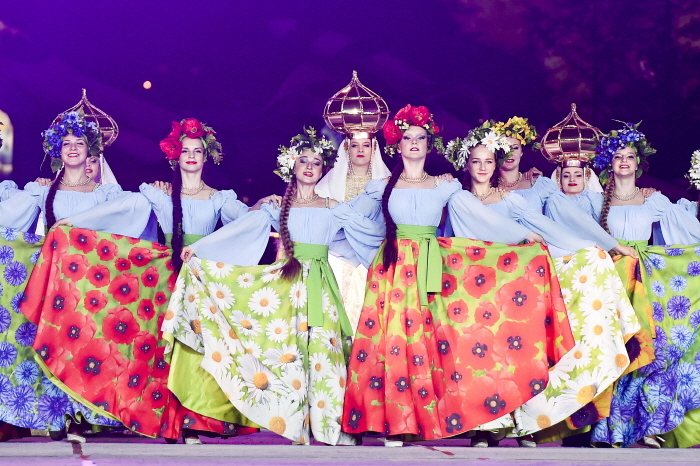 The festival’s main program ‘Dancing Carnival’ is the nation’s biggest and longest street parade festival, featuring a variety of folk dances and magnificent military marching parade from international teams across the globe, as well as the local citizens’ passionate performances. Many other additional events including the Green Safe Playground and Fringe Festival performances are also available for all visitors to the festival to enjoy. GoGoGangwon bus has a ride from Seoul to Wonju Dynamic Dancing Carnival as well though but every seat is fully booked due to high demand :S But don’t worry, here is how you can reach from Seoul to the festival site. From Dong Seoul or Seoul Express Bus Terminal, take a bus bound for Wonju. From Wonju Intercity/Express Bus Terminal, take Bus No. 2-1 from the bus stop opposite the bus terminal and get off at Jonghap Sports Complex Bus Stop. Or, take a taxi to the festival venue (Estimated travel time: about 6-min). From Cheongnyangni Station, take a train to Wonju. From Wonju Station, take Bus No. 51 and get off at Wonju Hospital Bus Stop. Or, take a taxi to the festival venue (Estimated travel time: about 13-min). Has the fever from the Dynamic Dancing Festival killed your stress? 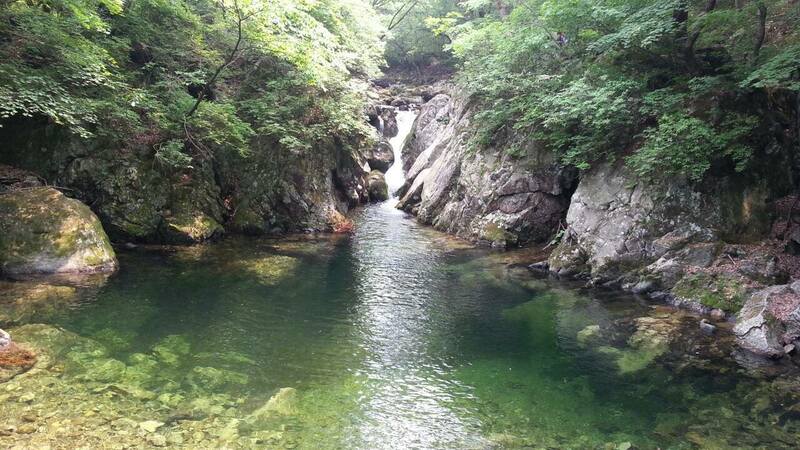 Let’s continue your healing trip in Wonju! 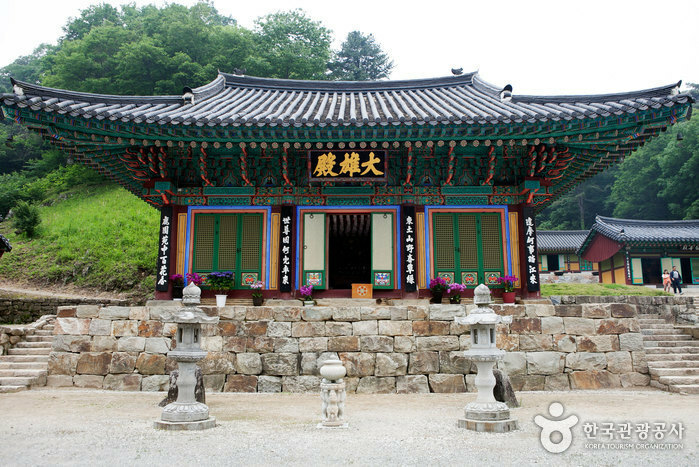 Guryongsa Temple (구룡사) is located 6km from Birobong Peak on Chiaksan Mountain, in the direction of Hakkok-ri. Monk Ui Sang (625~702) of the Silla Kingdom (BC 57~AD 935) built and named the temple Guryongsa in 668 (during the reign of King Moon Mu: reign 661 ~ 681). There is a legend that the Guryongsa Temple site was originally a lake where nine dragons lived. The name Guryong comes from the story that the lake was filled up to build the temple on it. There are many shrines such as Daewoongjeon, Bogwangnu, Samseonggak, Simgeomdang and Seolseondang. 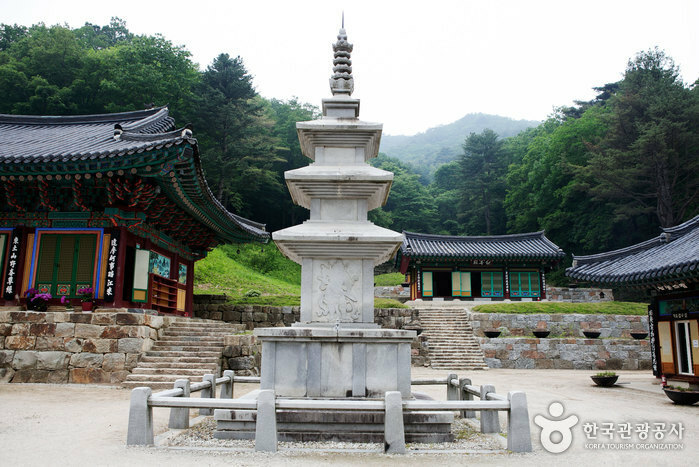 Daewoongjeon has maintained its original shape though it was repaired many times. 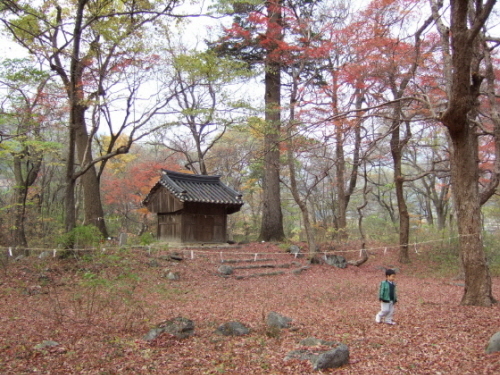 Daewoongjeon is a wooden building with the basic Dapojip style in the Joseon Era. The shape of the building is a Chinese character (八), with three rooms in the front and two rooms on the side and built without any nails. It is designated as Tangible Cultural Property No.24. 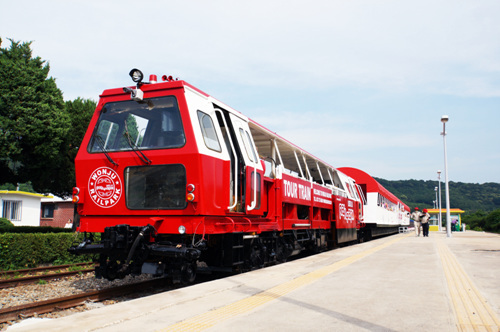 In Wonju Rail Park, you will be able to take a train from Ganhyeon station to Pandae station and transit to rail bike and run back from Pandae station to Ganhyeong station. The course is not hilly so it’s easy to run the bike and you can enjoy the beautiful scenery. Total journey will cost about 1.5 hours including 20 minutes (train) and 40 minutes (rail bike). 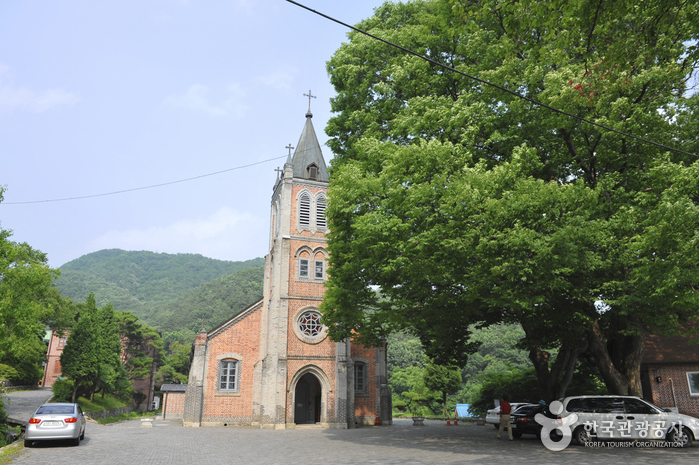 Pungsuwon was the first catholic village in which over 40 faithful from Yongin (Gyeonggi-do), led by Sin Tae-bo (or St. Peter), settled to escape the wrath of Sinyubakhae (religious persecution of Catholics) of 1801. Over a period of 80 years, the settlers had led their religious lives without a priest until Father Le Merre (a French priest) came to the village in 1888. Succeeding Le Merre in 1896, Father Jeong Gyu-ha (or Augustino), along with Chinese engineers, began to build Pungsuwon Cathedral. Completed in 1907 by the faithful, the cathedral still remains a beautiful building; it is a popular spot for visitors, having frequently appeared in Korean dramas and films. 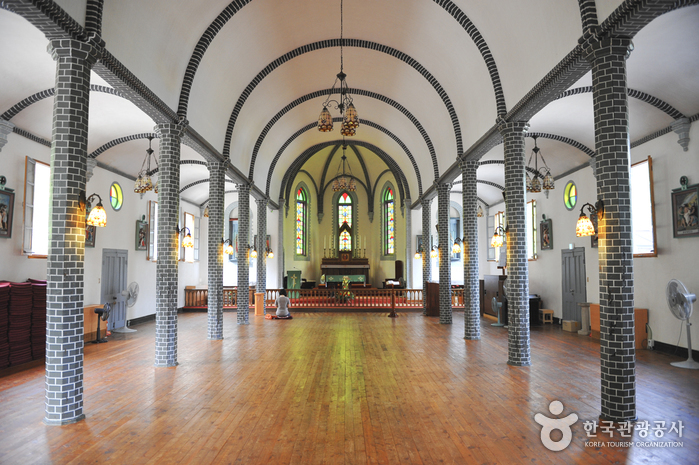 It is the first cathedral built by a Korean priest as well as in Gangwon-do; it is the fourth cathedral built in Korea. Pungsuwon Cathedral was designated as Gangwon-do Local Cultural Property No.69 in 1982. Wonju Herb Farm is the first botanical garden in Gangwon having more than 1,000 different kind of plants. Beside the herb, you will be able to appreciate the wild flowers, trees and lotus flowers as well. Relax yourself and say goodbye to your stress in healing Wonju!